To begin with he looked nowhere near. In the treacherous conditions Lewis Hamilton showed his Gilles-esque bravery and ability to find the limit as if by instinct be setting an opening time a full 2.7 seconds under Nico's... Indeed the only other pilot that looked the merest threat to him was Daniel Ricciardo who was a mere nine tenths off - in another thing seen plenty before the Red Bull's oodles of downforce and driveable engine served it well in the rain. The rest were seconds away. But Nico in time got with the programme and after a Q1 red flag brought about by an accident for Carlos Sainz (he faces a race against time to race) Nico suddenly set a time half a second up on his team mate's. 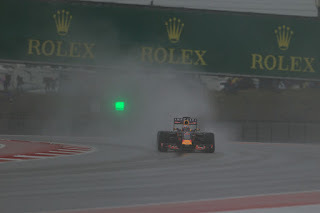 In that way of it in the wet as conditions gradually improved the timing screen order resembled that of a fruit machine, though the rotation over the top spot seemed reserved exclusively for the two Merc pilots plus Ricciardo. Come Q2 the Australian fell away a little giving us the habitual Merc-on-Merc battle for supremacy. "Pole was looking good" said Ricciardo afterwards. "Yeah, Q2 I think there was a little bit more water in the track...seemed like we struggled a little bit more I guess compared to the Mercs, who found a little bit more speed". Rosberg immediately set a time 0.731secs quicker than Lewis's, then Lewis improved but not enough as he was still just over a tenth off his team mate's mark. But ahead of time the game was a bogey. The rain intensified and improvements on the timing screens dried up. And the end of Q2 turned out to be the end of the whole thing, as Q3 was scratched with the conditions now considered unsuitable and time prior to the race of course precious. The Q2 order therefore sets the grid. There presumably will have to be more relent in the weather for the race to happen, but forecasts at least look encouraging on that one. "It's been a really good qualifying, I felt comfortable in the car" said a content Nico after the event. "It was difficult out there with the aquaplaning and everything, because when it happens you really struggle to have control over the car, as it just snaps suddenly without warning. "But no, I got a good lap together, and it was with a used set of tyres so that was even better. For Q3 I had a new set to go so I was feeling really good". Lewis meanwhile rued that Q3 didn't happen (though he seemed in a minority of one among the drivers on that). "It was generally a good qualifying, lots of fun out there I think for all of us" he said, "bit of an anti-climax at the end, I was looking forward to going out. I think we probably could have gone out and cleaned the track ourselves when the cars are out". The impressive Ricciardo retained third place and was followed by his team mate Daniil Kvyat. Sebastian Vettel salvaged P5 in the final order, indeed he had some fortune as earlier he'd got a tank slapper on and tapped a barrier (indeed it looked for all of the world that he was going to wipe off the front of his car in the prang). This meant he had to park it for the rest of Q1 while repairs were done and he survived into the next session just in P15, after sliding down the order helplessly. Still it mattered little as a pre-ordained grid penalty for an engine change means he starts P15. The similarly-fated Kimi Raikkonen starts P18. A few have noted that had all known the weather would be like this Ferrari might not have taken the grid drops so willingly. McLaren meanwhile had its best quali showing of the year, albeit in hardly standard conditions. Fernando Alonso got eleventh quickest time which converts to a P9 start after the mentioned penalties. Jenson Button starts P12. 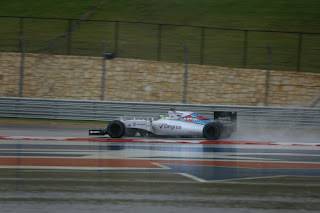 Felipe Massa put in a fine show to end up ninth in the order which converts to starting seventh. 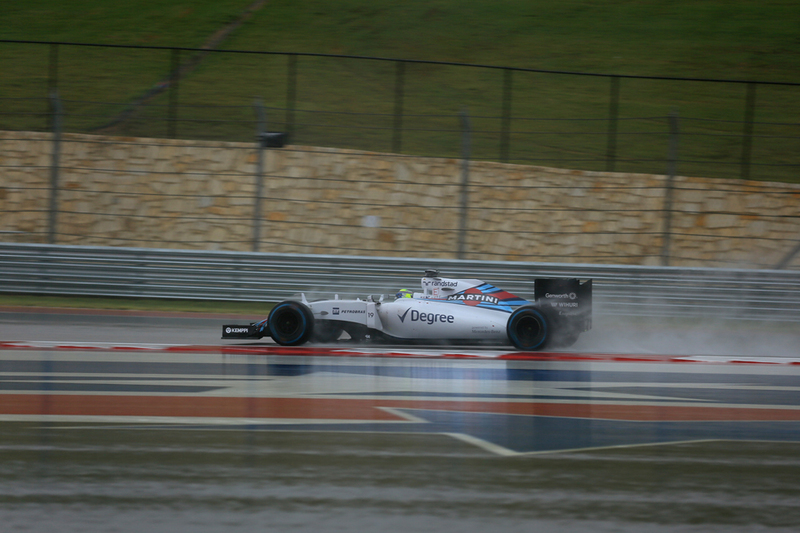 We all know about how the Williams struggles when the rain falls. But they were all heroes out there. As mentioned yesterday in regard to FP3 the sheer skill and fortitude of the modern F1 driver could not be missed nor doubted watching the session today. Only Sainz binned it, though there were other near misses. Mark Webber's wrong on this one - there may be many problems with the contemporary sport but driver talent is far from being one of them. As for Rosberg, his pole position could be the prime seat to an even greater extent than usual. If the conditions remain something like they were in qualifying then a safety car start is likely, then come the race proper Nico will give Lewis quite the visibility problem. If Lewis's third title is now inevitable you'd still imagine Nico will take something from delaying its confirmation by a week. When asked indeed how badly he wanted to win this one, his reply was simple. "For sure, badly". 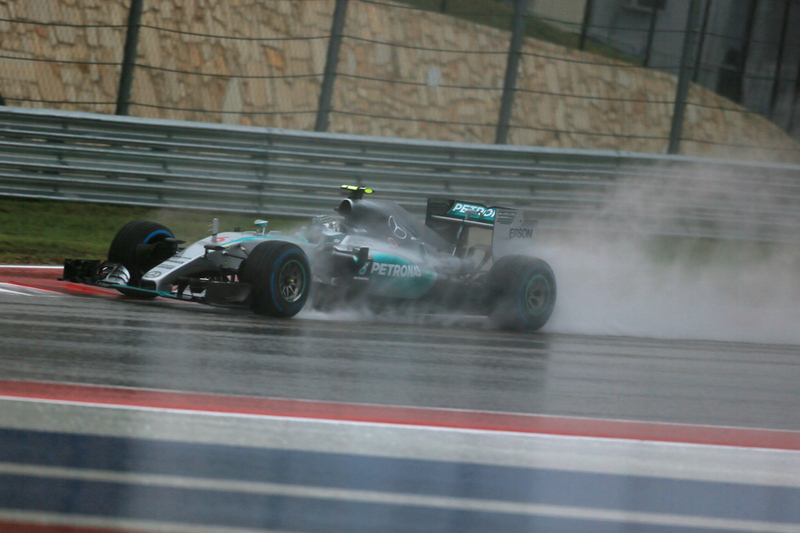 "I'm feeling good in any conditions at the moment, and our car is great in any conditions. 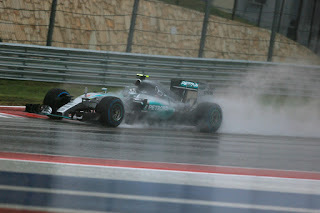 Full wets, intermediates, dries, so whatever is fine really" Nico added. But then again in the race Lewis will be at the brave end of the brave and right from the off as we saw in qualifying, as witnessed in Japan last year he has no qualms about hunting down and usurping his team mate even in conditions such as these, and as we see just about every time he isn't one to cruise and collect safe points . 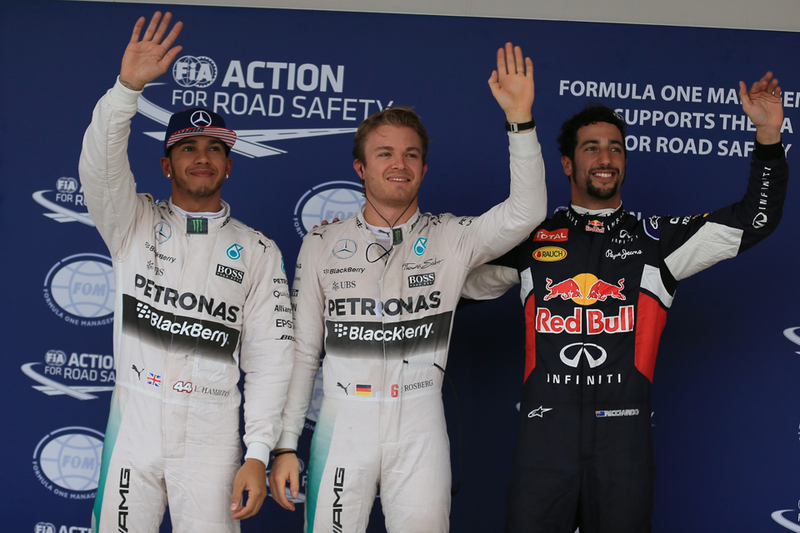 Plus the one common theme of 2015 is that Lewis somehow just about always ends up on top. Nico knows his fate. Can he avert it?